← I win! I win! I win! This entry was posted in Pregnancy in Diabetes, Uncategorized and tagged amazing customer service, Andy Schleck, Avalon Dairy, Chocolate Arts, Granville Island, pregnant cravings. Bookmark the permalink. 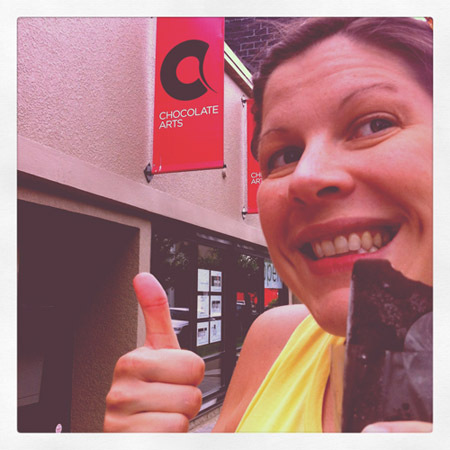 Did I just hear Chocolate Arts’ sales increase owing to their good (sweet) deed? But it IS a heart-warming tale, that a business with heart (all sweet and stickey) still exists.